The Most Complete List of Auto Services! Auto Service for any part of your car, anywhere near Bellevue WA! 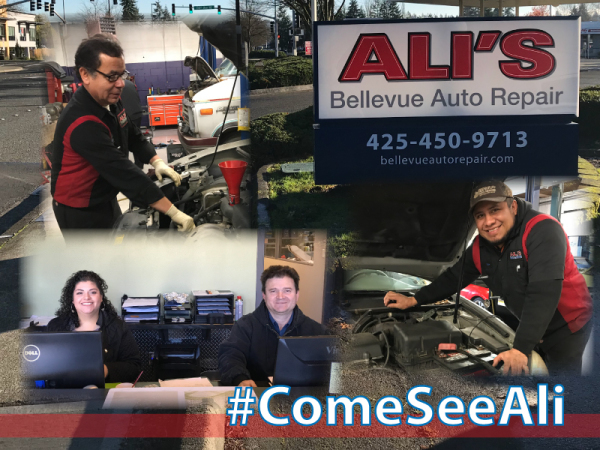 Not only does Ali's Bellevue Auto Repair cover ALL of the services listed above, but we're ready to handle auto service for the surrounding areas as well! We take care of the auto repair Bothell drivers trust, and auto repair Kenmore friends can recommend to their friends and neighbors. We are well worth the short drive from Redmond WA, Kirkland, Newcastle WA, Issaquah, Mercer Island, or Renton. 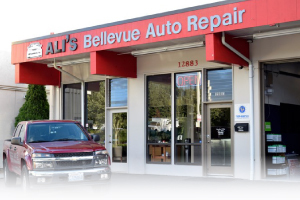 Ali's Bellevue Auto Repair, like it's brother shop Ali's Woodinville Auto Repair, offers the most services and expertise of any area auto shop. Many auto repair places must send your transmission elsewhere to be repaired, and most do not handle auto body repair at all. On top of that, our diagnostic tools are as up-to-date and extensive as any auto repair Bellevue WA, or other Eastside shop has to offer. We can handle even the most extensive repair, yet we want your business on Oil Changes, Brake Repairs, Emissions Repairs, and Tune-ups. Plus, we can service your vehicles to keep them under warranty, just as well as any dealership would, but more affordable!